How Can I Filter Products with the ePacket Shipping Method? 1. 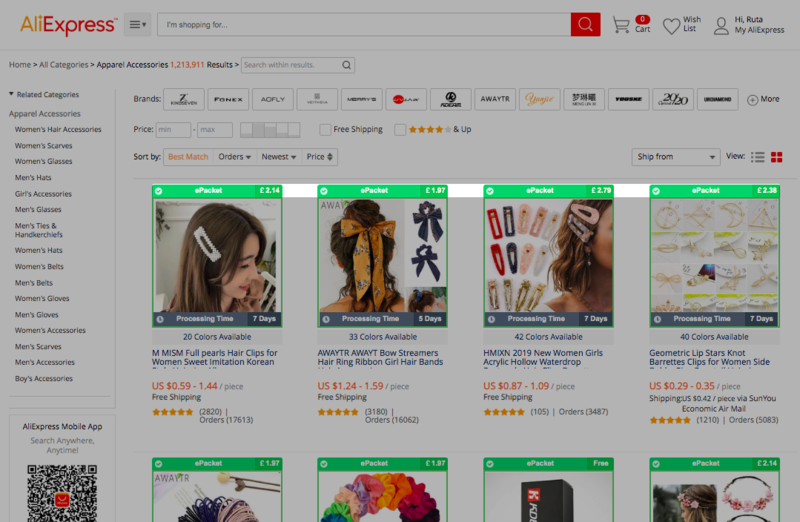 Navigate to AliExpress.com, and type in any keyword in the search tool or use the category filter on the left side to see product listings. 2. 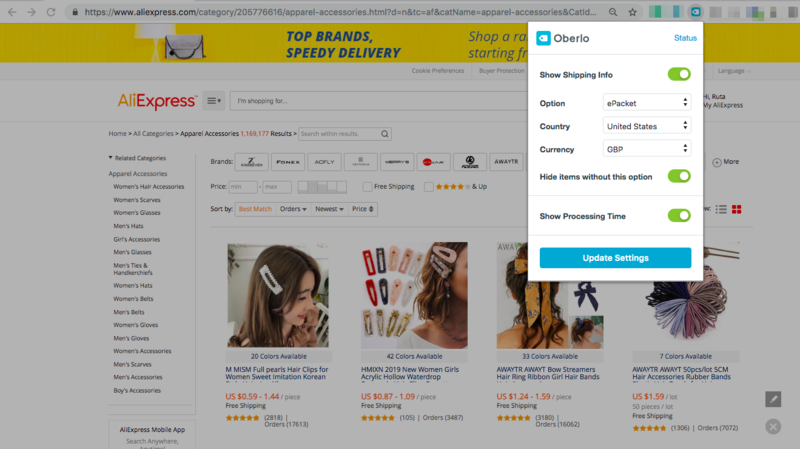 Click on the Oberlo Chrome Extension icon on your toolbar, enable ''Show Shipping Info'' function to see additional options. 3. 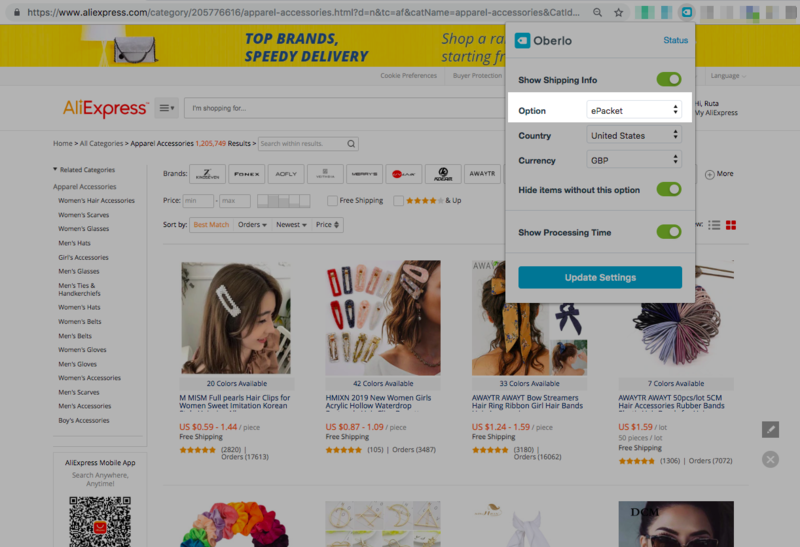 In the ''Option'' field, select ePacket shipping method, and click on ''Update Settings'' button. 4. Once settings are updated, you will see the products that have ePacket shipping method available. The products are framed in green color. Is Oberlo Available in Other Languages?